(Trent Nelson | Tribune file photo) Gov. Gary Herbert delivers his State of the State address at the Utah Capitol in Salt Lake City on Jan. 30, 2019. “Power tends to corrupt, and absolute power corrupts absolutely,” Lord Acton wrote to Bishop Creighton in 1887. We in Utah see it every year when the Legislature meets for its 45-day romp assaulting the basic tenets of democracy. Also in special sessions and often behind closed doors throughout the year. It doesn’t stop with legal voter initiatives. Their arrogance extends to going against public opinion and other introduced bills. The list here would take up more than the allotted space. Not to underplay the role of money, personal and/or associated enrichment, the influence of the dominant religion, etc., in determining these legislator’s decisions, as they all have tremendous bearing. There is, however, another factor that brings to bear the opening quote about power corrupting. With an 80-plus percent Republican majority in both the House and Senate, not only can they control everything in the state, up to and including the governor, they have the absolute arrogance to know that even if they go against the citizens’ wishes — even those of their own party — they will indeed, in most cases, be voted in again and again. This is why we see stupid bills pass and good bills fail, if even they see the light of day. Voting incumbents out is not the solution. 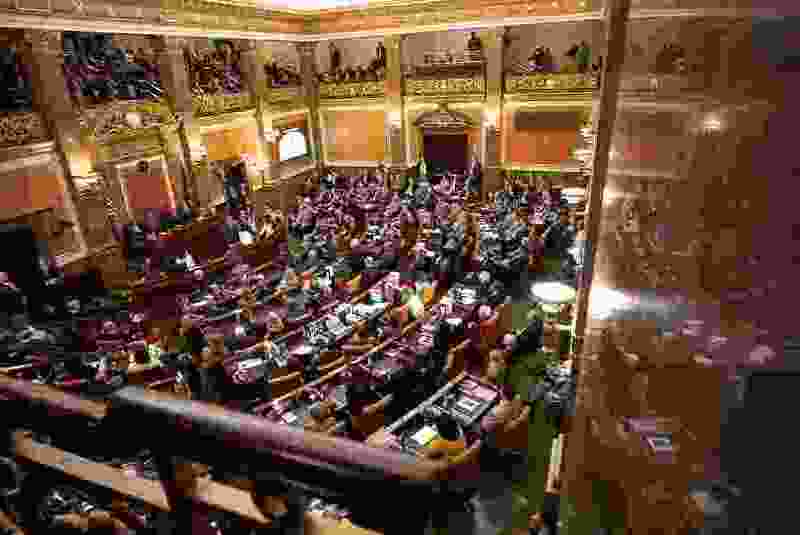 The solution is to vote the party out, or at the very least, restore a representative balance which was once the rule and not the exception in Utah politics. Once that protective GOP blanket is removed, only then will we see a truly representative government. Only then will legislative actions have consequences.